Spring Into Weight Loss w/ Skinny Fiber - NEW PRIZES - No Joke! A new season is here and this means that IT'S TIME TO SPRING into action! It is time to get past the winter blues and get MOTIVATED to shed some pounds over the next few months. As the weather gets better, so can your health, weight and fitness. If this is your goal, please make sure to read this entire post to learn more about the groovy change to the Skinny Fiber Weight Loss Challenge. This means that you have plenty of time to lose weight before summer, vacation or family functions. I know this may sound crazy to those of you that need to lose a lot of weight, but the reality is that each POUND OF FAT takes up quite a bit of space in your body. Any weight that you lose is going to make a HUGE improvement to your health, confidence and comfort this summer. 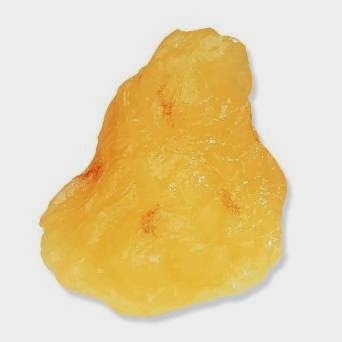 REMINDER: A pound of fat looks like this! Imagine 5, 10, 15 or 20 of these little blobs of fat coming off your body by summer! That would be a significant amount of body fat lost especially if you exercise to build up your muscles, too. The Skinny Fiber Weight Loss Challenge make it easier and more fun for you to lose weight by providing the all natural product, health tips, support and motivation you need! If you're struggling with weight issues, I want you to join the 90 Day Challenge with me, so that you start losing weight, getting healthier and have a chance to win prizes. All challenge members get a free tracking website with health and fitness tips, weight loss coach and support group, as well as a tracking tool for measurements and weight. The difference with this Spring Weight Loss Challenge is that there are brand new prizes as motivation and reward for the 3 biggest losers during this time. ALL MEMBERS GET CERTIFICATES AND T-SHIRTS for their hard work. 1) An all expense paid trip to gorgeous Miami, Florida. 2) A pampering makeover during their vacation. 3) Get featured on the NEW Health & Wellness TV Channel. 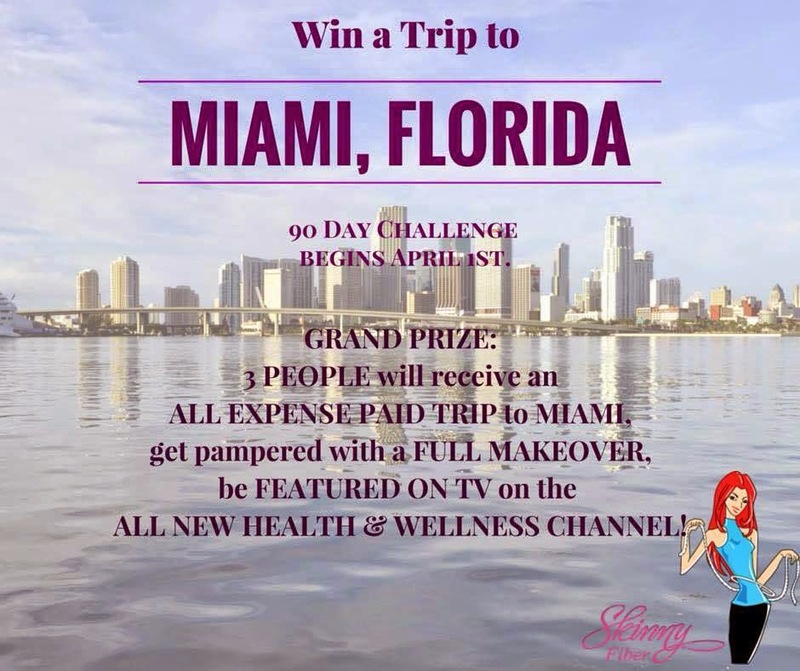 This is a once in a lifetime opportunity for many of our members to have a Florida vacation non the less a makeover and be on television, so this is going to be an exciting and rewarding challenge! How Does The Company Know Who Won The Weight Loss Challenge? Everyone who participates in the weight loss challenge needs to upload a current picture of themselves and set up the tracking section in their account. They also need to take Skinny Fiber, drink enough water and follow the tips in their tracking website,as well as what your weight loss coach suggests. Track your weight loss as you are participating and record it in your account. There is a Leaderboard that shows who is leading or not. Submit your new picture at the end of the challenge. The company reviews all information between APRIL 1st and JUNE 30th - Winners will be announced! You can join at any time, but keep in mind that those who join now will have the advantage of time towards their weight loss goals and winning the prizes! Please let me know if I can help with any questions and SHARE - SHARE - SHARE with friends and family that need to lose weight, too! Join me at Facebook for encouragement, weight loss tips and support!